IT’S OWL CRATE TIME!!! Ahhhhhh!!! 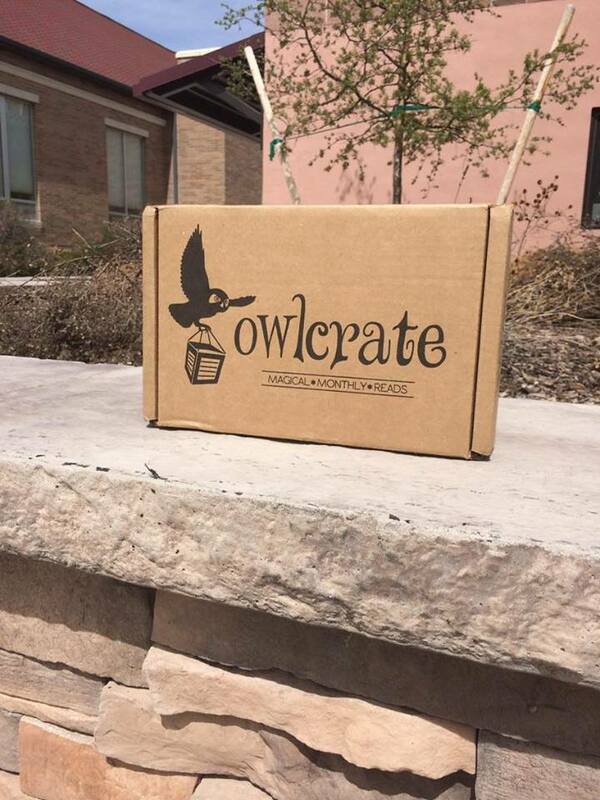 Goodness, how I love these OwlCrate boxes. 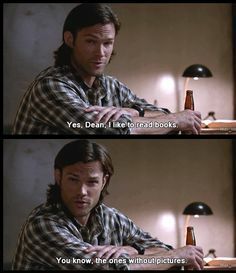 Just… they’re my favorite part of the month – plus Fandom of the Month stuff, but still. 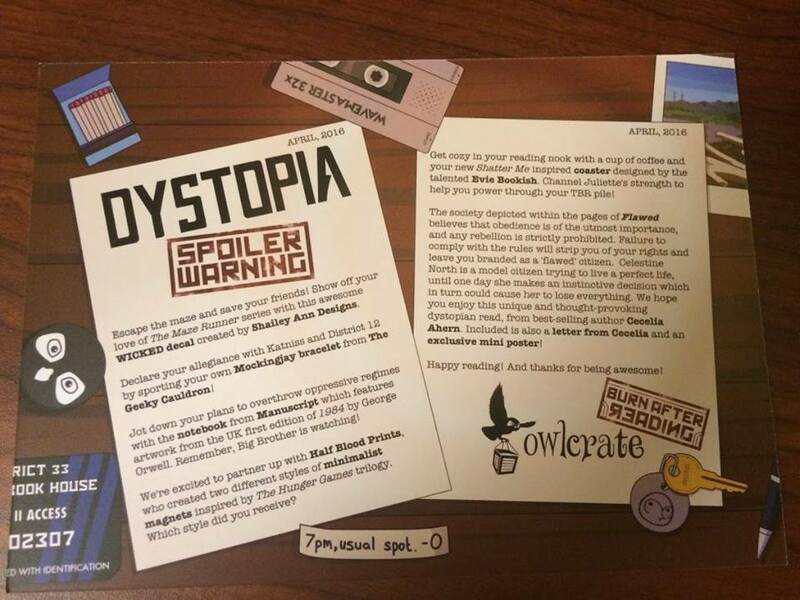 This is round two of my OwlCrate experience, and I have to say that I am absolutely in love. If you haven’t signed up for this amazing thing yet, WHAT’S WRONG WITH YOU!?! (Just kidding). This is just so wonderful.. it’s so, so incredible. 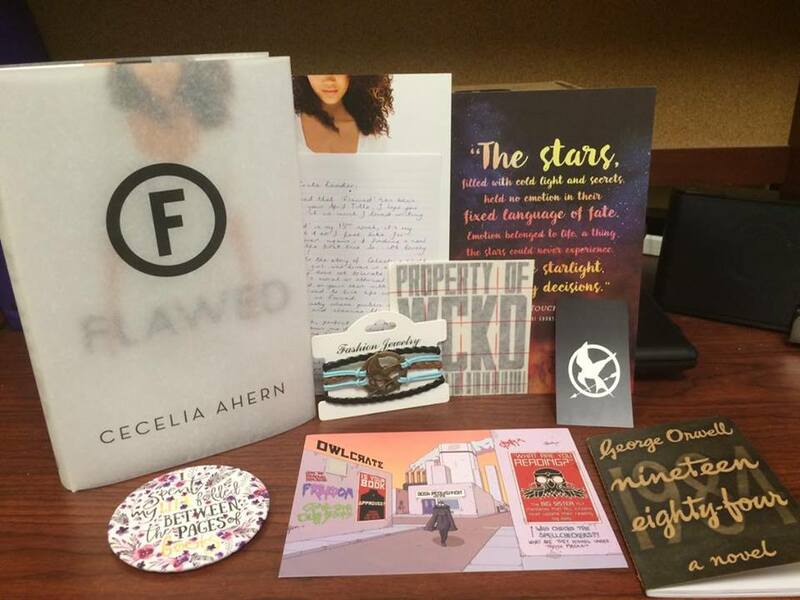 I mean, you get a book and a bunch of other bookish merch. It is sheer perfection. This month’s theme, is… wait for it…. wait for it…. 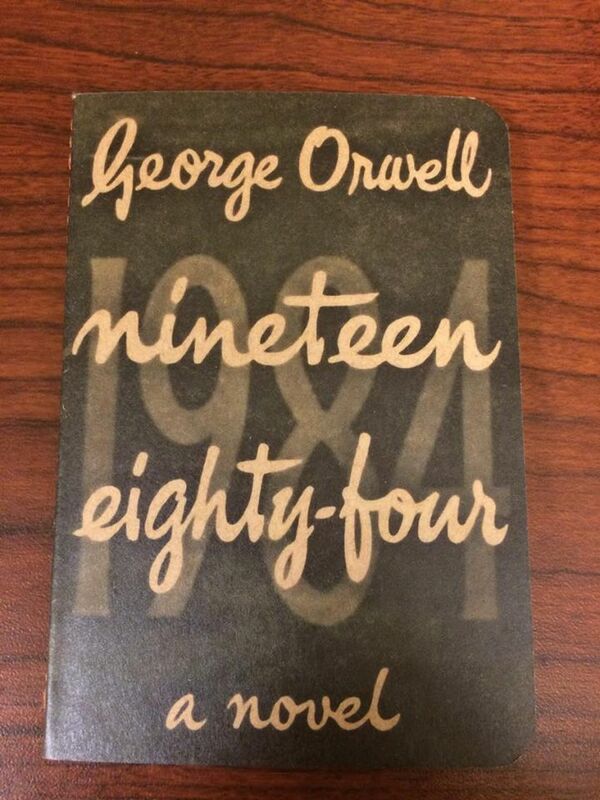 DYSTOPIAN! JUST… Just… LOOK AT IT! OH MY GOODNESS! It’s so beautiful, and perfect, and everything I think I’ve ever wanted. First things first, I yanked out this awesome little notebook. Isn’t it cute? It’s the perfect little notebook. There are blank pages, so you can draw and write and all sorts of stuff. Next, I pulled out a bracelet that gave me all the feels. I mean, the movies are all over now and… and… it’s like half of my childhood and the entirety of my high school experience. The final movie didn’t come out until my Sophomore year of college. It’s a special thing for me. Sticking with the Hunger Games theme, the next item is this is adorable little magnet. It’s the same artist who does the magnets for Fandom of the Month Club (And you all know how much I love those). 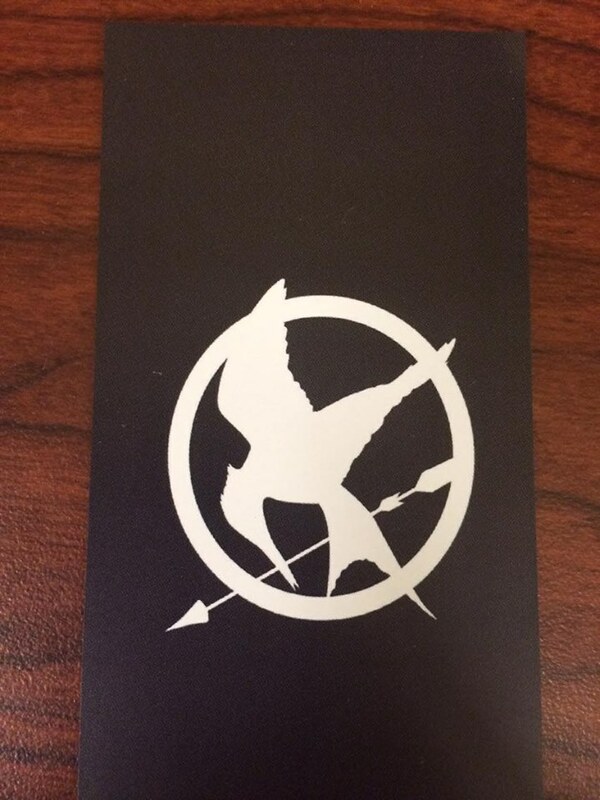 The cool thing is that everyone is getting different Hunger Games magnets. 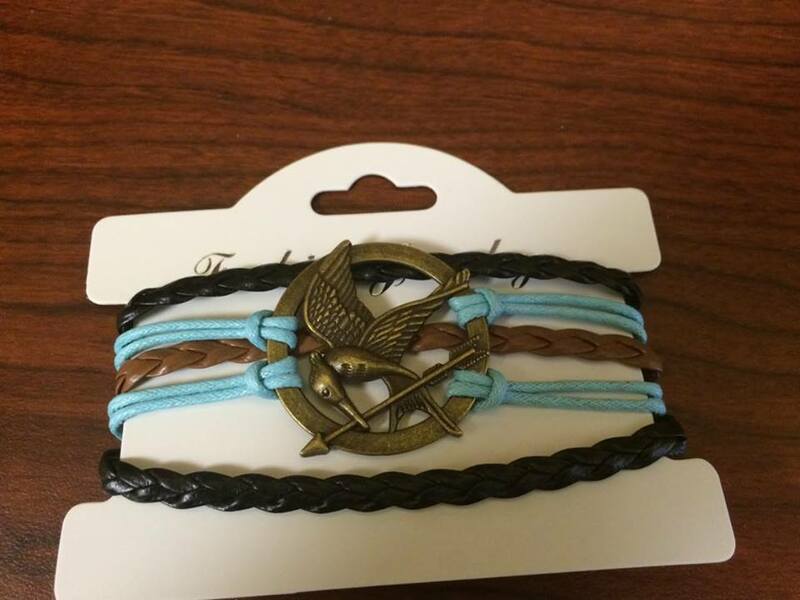 Some people got Katniss ones, some got these, and I’m pretty sure some people got Peeta, Effie, and Gale or something, too. Next up is this amazing coaster from Evie Seo’s Society 6 store! LOOK AT IT! AHHHHHHH. I love it so much, so, so much. 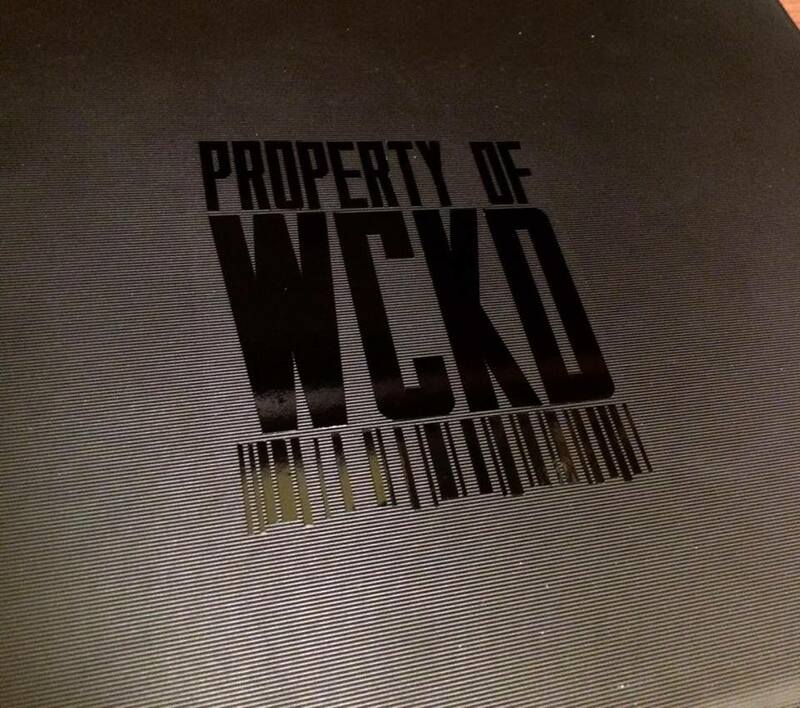 After that came this cool little vinyl decal, which now sits upon my laptop. Muahahahaha. 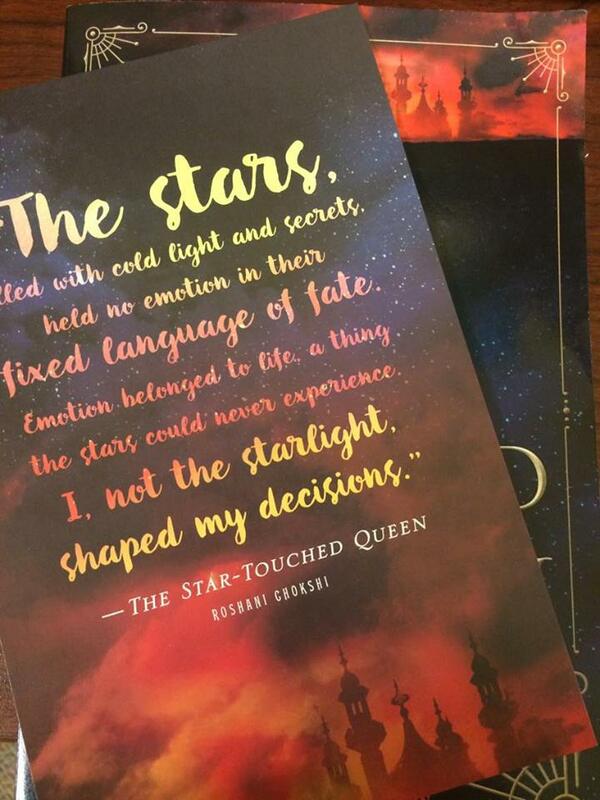 Another little beauty was this Star-Touched Queen design, which, if you read my review, you know I absolutely love. Last but not least, the book! 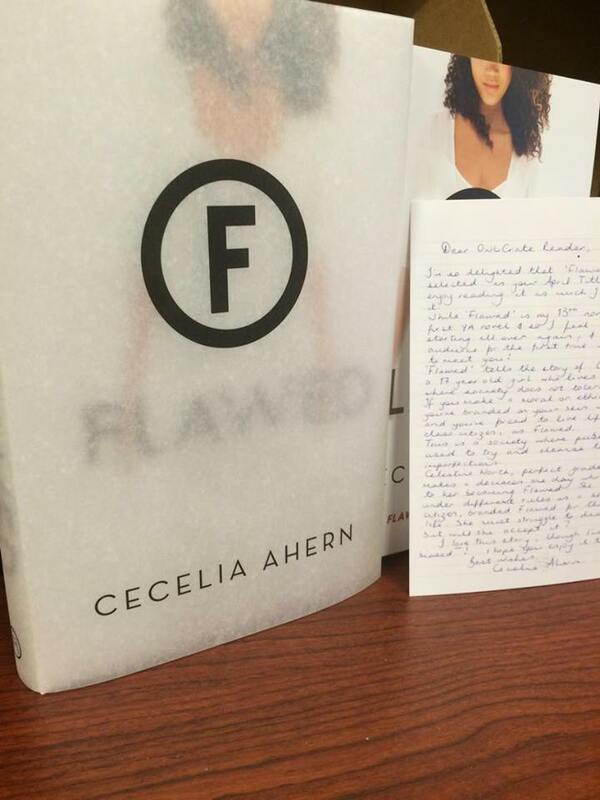 This month’s book is Flawed by Cecilia Ahern. It, as did last month’s book, came with a hand-written note and a small bookplate with a quote. I’m so excited to dive into this one! Honestly, it sounds amazing and I love dystopian novels. So, win win. I’M SO EXCITED! Guys, guys, guys! Guess what the theme for the May box is!?!?! GUESS! GUESS! GUESS! HOW DID I NOT SIGN UP FOR THIS PRECIOUS THING SOONER! Someone should have knocked some sense into me. 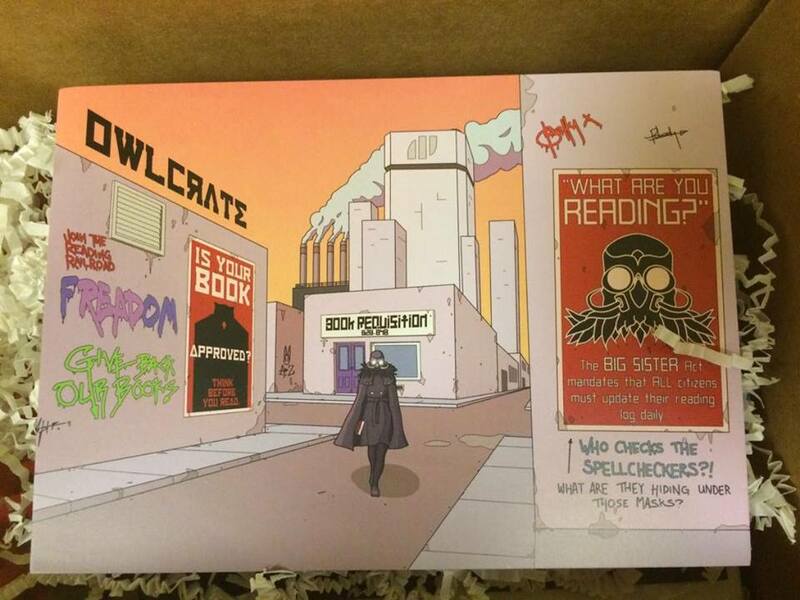 This is my first time getting an OwlCrate box, so I really had no idea what to expect besides sheer awesomeness. I am so glad I did this guys! 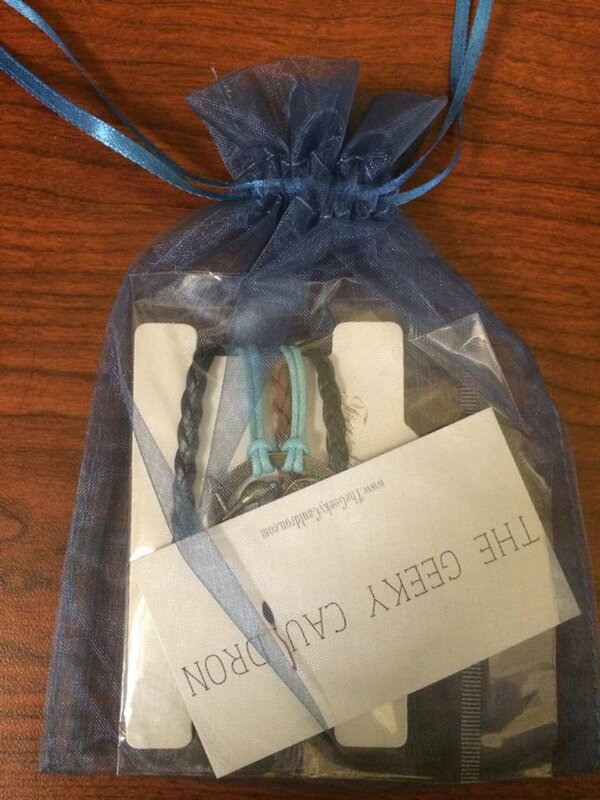 I mean.. an adorable box full of bookish things and a book? Hell yes. Isn’t it cute? The entire thing is actually decorated. 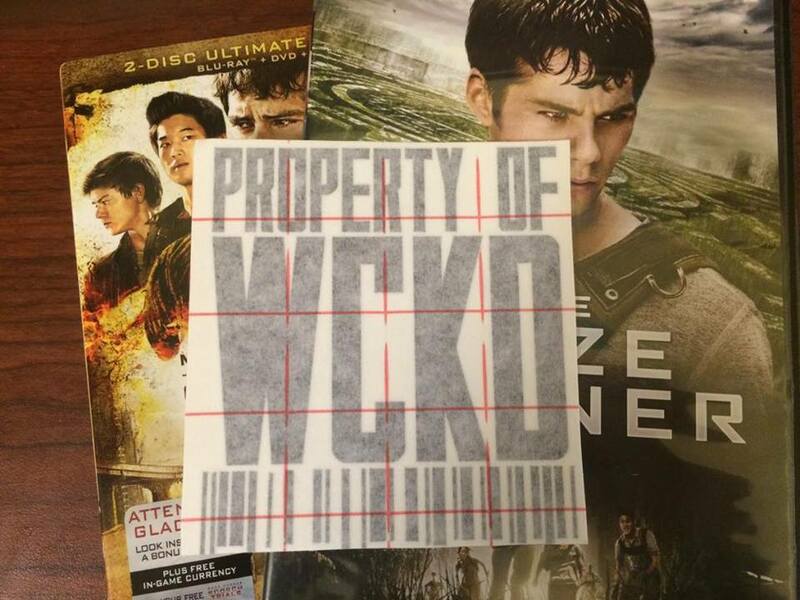 There are footprints and all sorts of stuff throughout – it was so freaken adorable. Isn’t that awesome? I mean, not only is the postcard extremely detailed and fitting – there is an amazing note on the back and all sorts of little surprises thrown in. The first thing I grabbed out of the box, besides the themed card, was this sweet little collection of buttons which now reside upon my bookshelf. 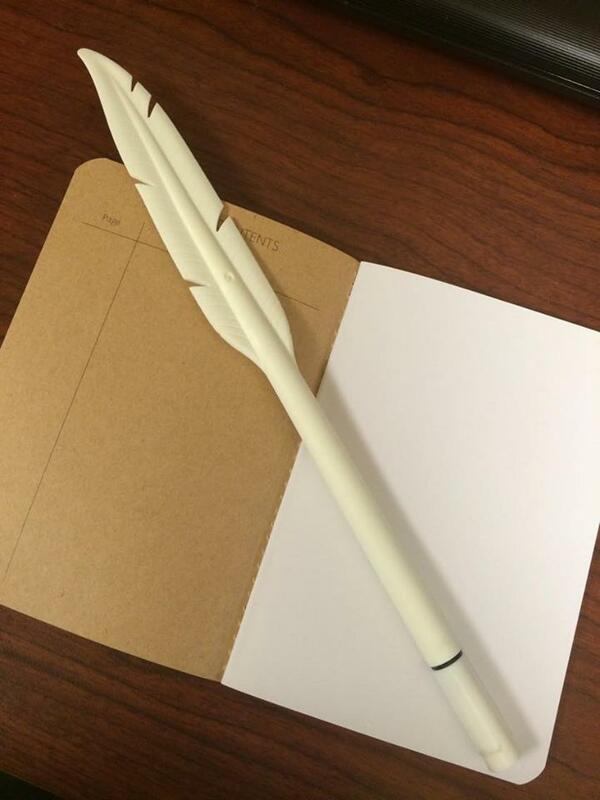 After that came a quill pen and an idea-generating notebook. I love them, I really, really do. They might be my favorite part of the box besides the book that came with it. There are some seriously hilarious prompts in here guys, and I mean HI-LAR-I-OUS! That’s just some of them… there are over six-hundred. Next came banned book socks. Squee! This gorgeous pair made me unreasonably happy. The book included in this month’s box is The Serpent King by Jeff Zentner. 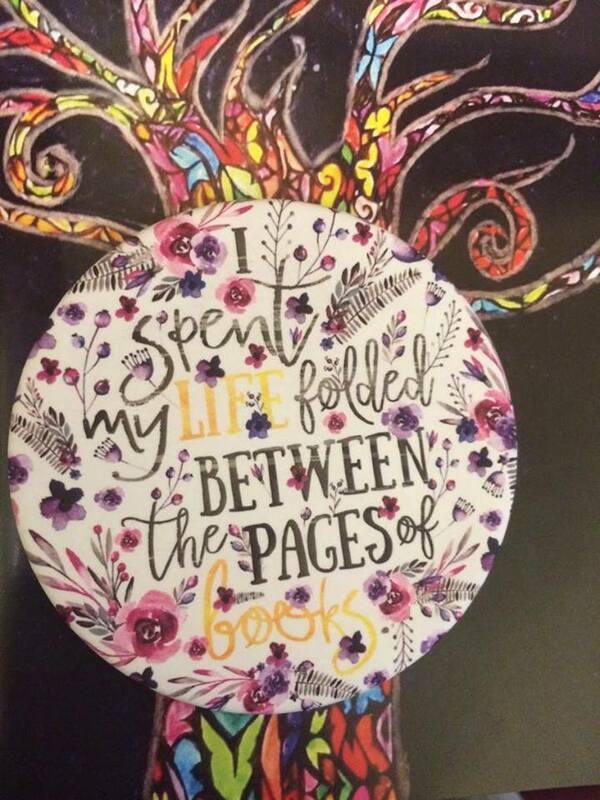 It came with a handwritten note from the author and a really cute bookplate that has a profound quote. Doesn’t it sound amazing? I can’t wait to dive head first into this book! So yea, that’s pretty much it. Amazing, huh? These have become my new favorite thing guys. I just found out next month’s box is going to be Dystopian themed and now I’m already squealing and I have to wait a month. I would write something witty to sum this whole thing up, but I think the owl in the box is much better suited to this than I ever will be.